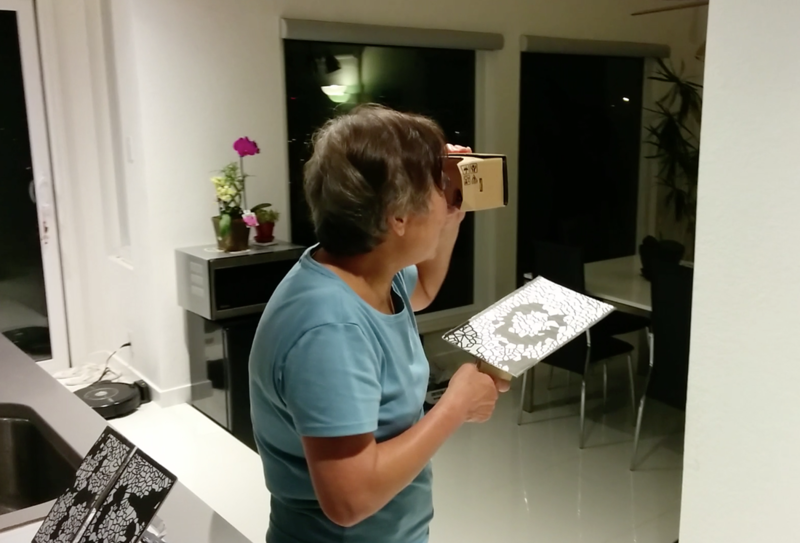 The potential of virtual reality in education is unlimited. 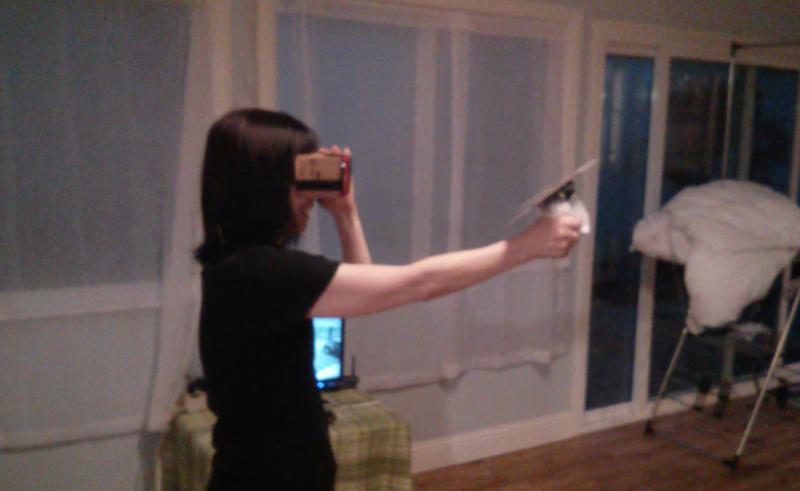 With Realiteer's technology, we can bring fully immersive learning materials to users at a very low cost. People of all ages can easily use our product with minimal training. Indeed, hundreds of users tested the RealTrigger at the most recent Maker Faire Bay Area 2015 where RealTrigger was ultimately awarded the “Best In Class” red ribbon for its great educational potential! Three- to six-years of age is a critical period in a child's life for developing hand-eye coordination. Our system provides a fun way for toddlers to exercise their full body while learning. 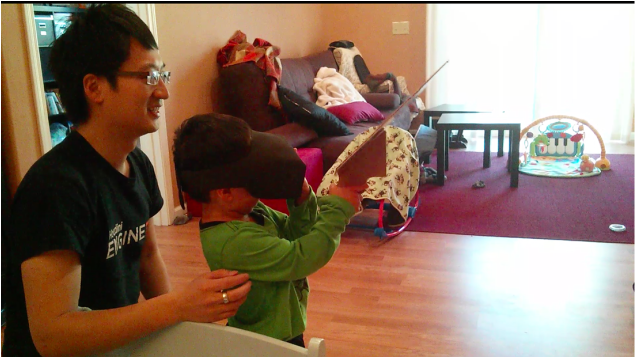 We have extensively play tested the RealTrigger with toddlers to make sure it's safe and fun! Knowledge doesn't necessarily only exist in books. With Realiteer's 18 degrees of freedom, we can take students to where / when things happened. We can transport users to historical settings and events so that they can observe them in person or even participate in them! Live and learn! The Realiteer system can put you through challenges so you can polish your rusty problem-solving skills, for example. These challenges can be in the form of puzzles, brain teasers, or even an adventure. For professionals, our system can be used for on-the-job training materials to simulate certain situations and scenarios. For instance, certain dangerous situations, like fire-fighting, can be rendered into a virtual scenario for training purposes. Because Realiteer's 12 degrees of freedom cover human's most essential locomotion abilities, it can potentially be used as a diagnosis device to detect locomotive malfunctions in their early stages. In addition, Realiteer's technology provides a fun environment for elders to keep their minds sharp, exercise, undergo physical therapy, meditate, or socialize with people who have difficulty moving around. Best of all, people don't age in virtual reality!